Born at Nictaux West, Anna County, Nova Scotia on 18 January 1882, son of F. Miles Chipman and Annie S. Fisher, he was educated at Middleton High School and the Nova Scotia Normal School. In 1900, he began teaching school, spending two years in Nova Scotia then two years in Alberta. He came to Winnipeg in 1905 and became a reporter with the Manitoba Free Press. He also contributed to Canadian Magazine and other Canadian journals. 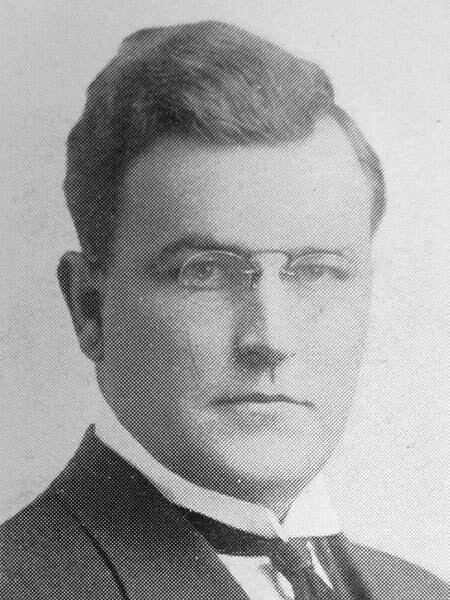 In the 1922 provincial general election, he was one of eight Progressive candidates for a Winnipeg seat in the Manitoba Legislature, the others being Thomas J. Murray, Richard W. Craig, Martha J. Hample, Patrick J. Henry, Peter McCallum, Charles K. Newcombe, and Arthur W. Puttee. In 1907, he married Emily Raymond Christie (c1879-1952) of River Hebert, Nova Scotia. They had two children: Robert Avery Chipman (1912-2008) and Emily “Sally” Chipman (1916-?, wife of Donald Ross). He was a member of First Baptist Church and the Manitoba Club. He died of an accidental shooting on his farm, on 26 December 1935, and was buried in Elmwood Cemetery. He received the Stevenson Memorial Gold Medal from the Manitoba Horticultural Association posthumously in 1938. Birth registration [R. A. Chipman], Manitoba Vital Statistics. “G. F. Chipman, editor and fruit expert, is accidentally killed,” Winnipeg Free Press, 27 December 1935, page 1. “Guide editor’s widow dies in 73rd year,” Winnipeg Free Press, 22 July 1952, page 10. Dr. Robert Avery Chipman, Four Nova Scotia Families: Hennigar, Elliott, Harvey, Chipman.